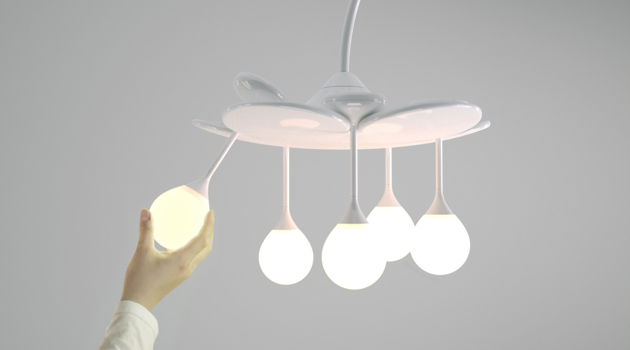 Drop Light is a clever and spectacular lighting concept designed by South-Korea based DOOlight. It consists of rechargeable lighting units called ‘drops’, which are cordless and heatless. The drops can be used as individual free-standing lamps anywhere at home, or placed together on their elegant flower base for stronger lighting. Simply touch the metal base to increase or decrease the light intensity and create the perfect ambiance.